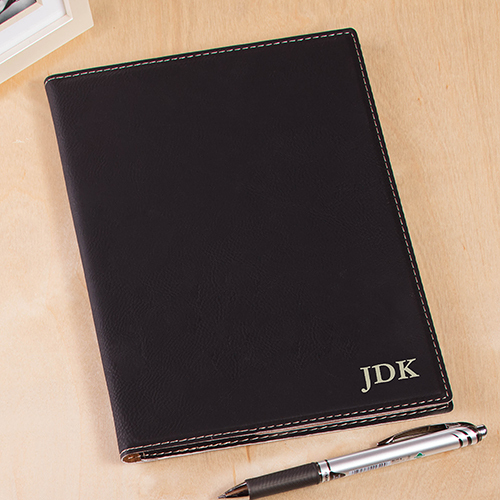 Get yourself organized at work, home, or school with an engraved 3 initials black leatherette portfolio personalized just for you or as perfect personalized teacher gifts. We will custom engrave any initials (up to 3) to make a personalized take along portfolio. Give this compact portfolio as a holiday, graduation, or even birthday gift! Buy Personalized Gifts For Teachers Today! 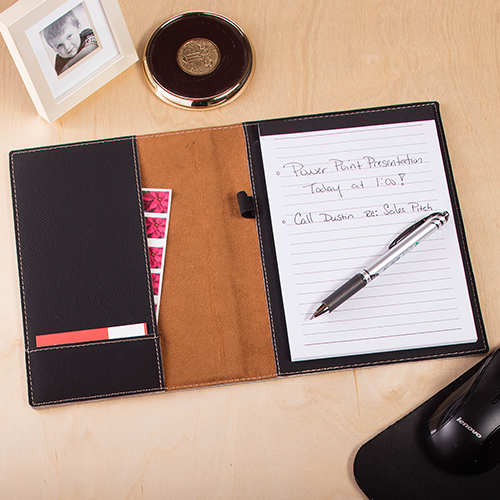 Lightweight and smaller in size then a traditional portfolio.